You want to know which brush markers are right for you. 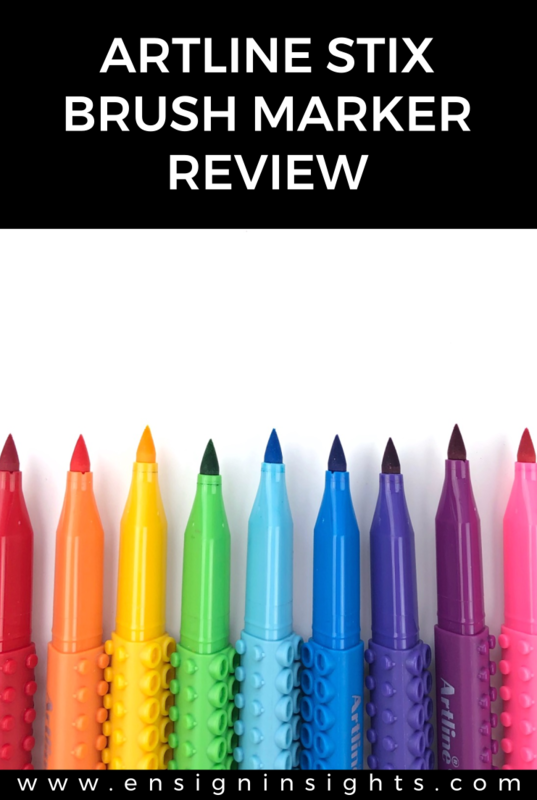 Let me tell you about Artline Stix brush markers in this review. If you are a hand lettering beginner or more experienced, you know how brush markers make a difference on how your lettering looks. There are some brush pens that are easy to use and others that are harder to use. Depending on your personal preference and style, you make like certain brush markers over other ones. I want to tell you about Artline Stix brush markers so you can decide if they’re right for you. Don’t get me wrong. I could write a whole list on why you need Tombows in your collection. I love them. But when you are starting out, Tombows can be difficult to work with. Because the Artline Stix has a shorter tip, they are easier to work with. This also means they are a great in-between size. I like my Tombow or Pentel Fudes for smaller designs and Tombow Dual Brush for bigger designs, but I didn’t have a medium size until I found the Artline Stix! This is actually the main reason I tried these out in the first place. I fell in love with the vibrant colors. When I saw other posts of the Artline Stix, I always thought they had done something extra to give it an ombre effect. It turns out, the markers do it naturally! Please insert all the heart eyes here! These markers are literally like legos. You can connect them and stack them. How fun! I cannot tell you how many comments I get about these markers! Everyone wants to get their hands on them. I love that the whole body of the pen is the color (instead of black) because they make for great photo props! If you think these brush markers will be a good fit for you, find Artline Stix brush markers on Amazon (affilate link). In my opinion, they are a great price from Amazon and they were worth the cost. These were my first pack of brush markers so maybe that plays a role in how much I love them as well. Something about that first love, right? Update: You can also find these markers from The Print Mint Etsy shop. They have a 20 pack, 12 pack, and 6 pack. There are only 20 colors instead of Tombow’s or Crayola’s endless colors. They are a firm nib so if you are not heavy handed, you may not like them. They sometimes bleed through the paper (not like Sharpie bleeding, just slightly). Watch my full review on Youtube! This is an amazing video. I just started learning hand lettering and they are the best markers. You can also buy them in America a 20 pack at theprintmint.etsy.com and they are a few dollars cheaper with cheaper shipping. Thank you for stopping by! And thank you for the helpful information! Thin upstrokes can be very difficult! A lot of it is practice to get the muscle memory. I have basic strokes practice sheets in my Insider Library to give you some strokes to practice. Make sure you have very light pressure on the upstrokes. You barely want to touch the paper to get it very thin. I hope that helps! Let me know if you have any other questions!